Cubans have voted to ratify a new National Assembly - a key step before a president is selected next month. Sunday's election is seen as significant as it marks the start of major political change in Cuba. The Communist-ruled island is preparing to be led for the first time in nearly sixty years by someone outside the Castro family. 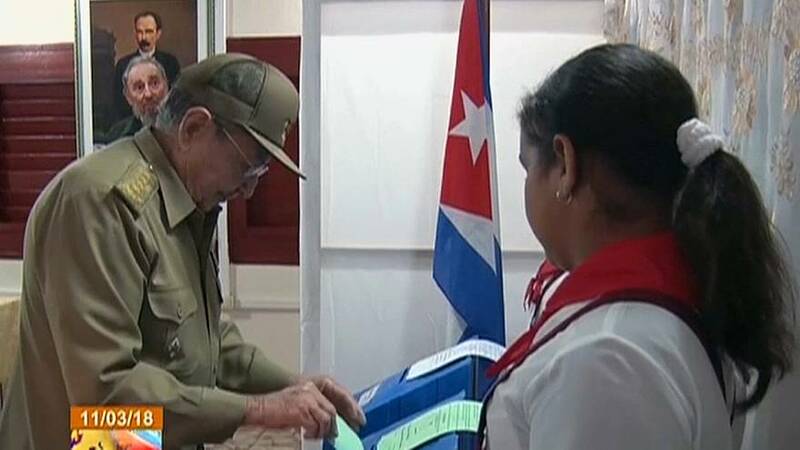 President Raul Castro voted on Sunday in the southeastern province on Santiago de Cuba. The 86-year-old has been in charge since 2006 after taking over from his ailing brother Fidel. First vice president, Miguel Diaz-Canel, who is tipped to be Castro's most likely successor, cast his vote in the central Santa Clara province.